Recognized through the SMARTS Arts in Schools and Demonstration Project for California Arts Council as qualified to teach arts in the SMMUSD and an approved www.LAArtsEd.org education program, the Santa Monica Playhouse Education Experiences are crafted to augment the State Educational Standards and the Common Core. Workshops place special emphasis on fulfilling requirements in Theatre, Reading, Writing, Oral English Language Conventions, Music, History, Dance, Listening and Speaking. Our workshops connect professional theatre artists and your students, to help them learn to express themselves creatively, build confidence, and learn performance techniques, through the use of theatre games, improvisation, movement for the stage, voice & speech, and just plain theatre fun. These workshops help build self-esteem and social consciousness, and also such study and life skills as teamwork, problem-solving, decision making, leadership, communication, cooperation, and language arts. Students learn to use the creative process as a tool in their studies, as well as to help them face the challenges of what it is to be a young person in today’s world. We can adapt our workshops to fit your classroom needs, offering one-hour, two-hour, or three-hour stand-alone theatre arts workshops OR a weekly/bi-weekly workshop over several weeks that culminates in a performance of an original play. We can visit during school hours or create a special after-school program on premises. You can even bring your students to the Playhouse on a special field trip for one or more workshop sessions (see below). Please inquire about the options and pricing! Email us. Students and their teachers spend two hours with one of our theatre educators learning theatre skills, participating in theatre games and exercises, using these new found tools to create their own mini-play. The play is crafted on the spot, based on themes selected by the participants that reflect their personal feelings about the world, their community and their school. 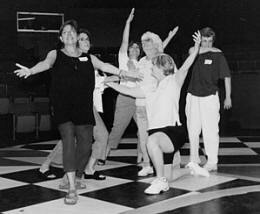 The workshop takes place in one of the three Playhouse performance spaces. 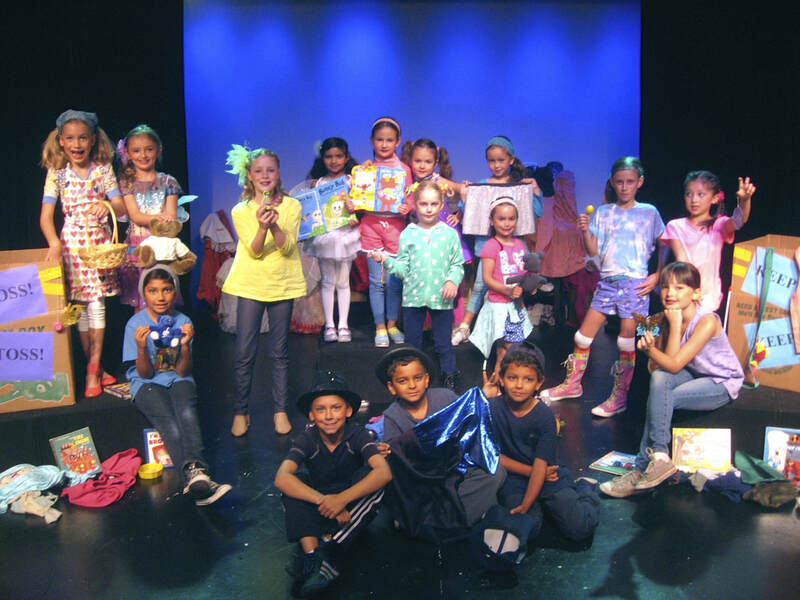 Each participant receives a Theatre Games Activity Booklet and two complimentary tickets to a Santa Monica Playhouse Family Theatre weekend production. Complimentary refreshments are also included. The Project: Shakespeare workshop is designed to help students turn the learning of Shakespearean text from a cultural chore to an inspired study of the beauty and imagery of his poetic language, epic stories and universal themes. 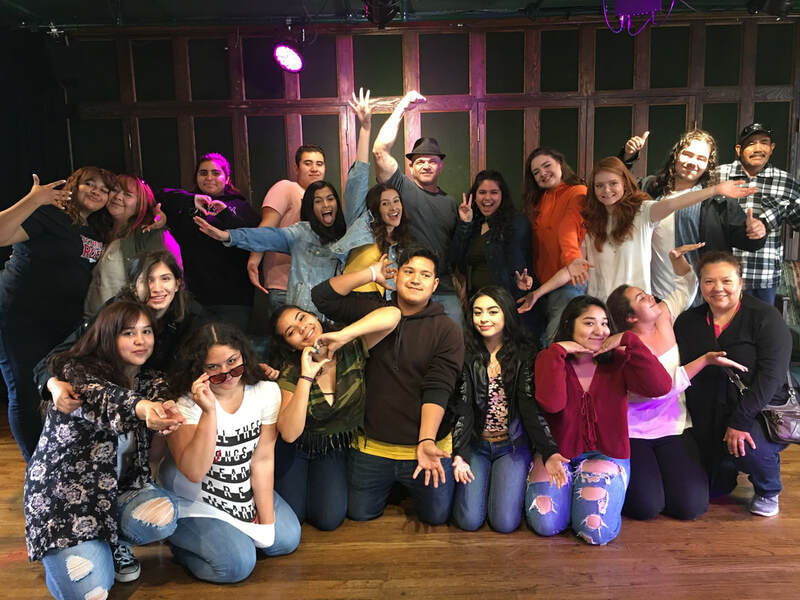 Project: Shakespeare brings a maximum of thirty-five students to Santa Monica Playhouse for a two- to four-hour on-stage workshop with two professional performer/educators. The session can focus on the Shakespeare play of your choice, or it can be a general class touching on Shakespeare’s language, stories, and world-wide impact. 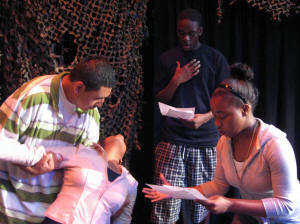 Students bring the words off the page and onto the stage, creating a mini-performance that is presented at the end of the session. Email us to book or to learn more! 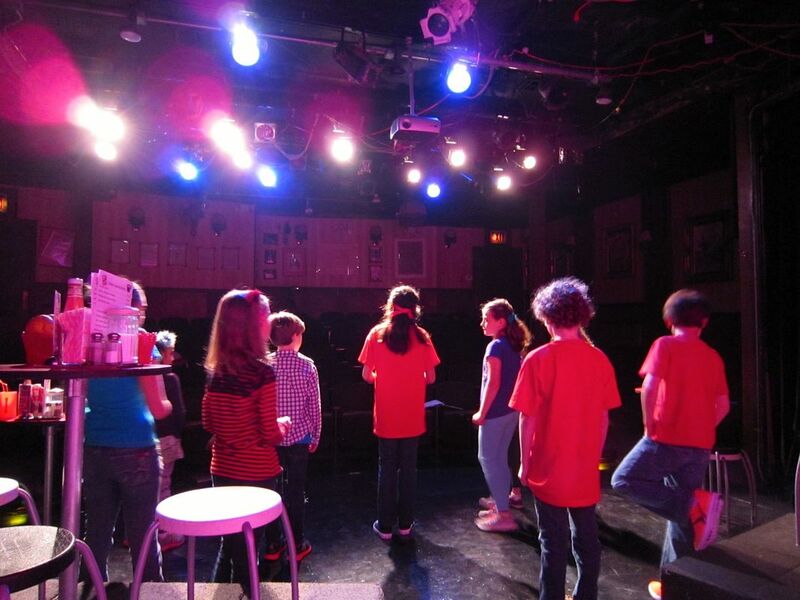 Interested in a bringing a class to see a show as part of our Theatre Field Trips? Find out more here. 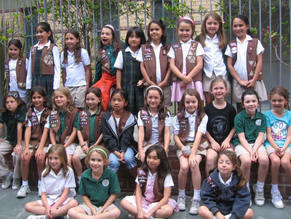 Santa Monica Playhouse has been providing Theatre/Drama Badge activities for Girl and Boy Scouts and theatre experiences for scouts of all ages for over thirty-five years. Also suitable for Brownies, Boy Scouts, Camp Fire USA and others. 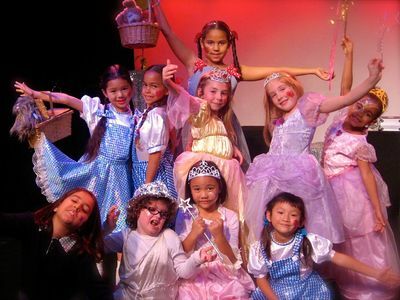 In this exciting weekend activity, troops come to the Santa Monica Playhouse theatre arts complex, where they see an age-appropriate professional musical production presented by the award-winning Actors Repertory Theatre and the Young Professionals' Theatre, the city's oldest resident professional performing arts companies. After the show, the young people are given a back-stage tour and participate in a discussion with the performers and technical crew, where they can ask questions and learn more about theatre as a craft, as a career, and as an instrument for social change. 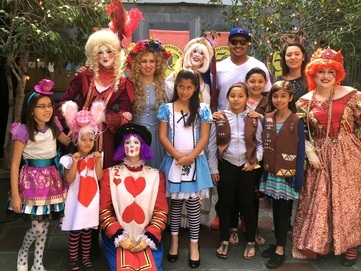 Each participant also receives a Theatre Activity Book, filled with theatre games and exercises they use at home, at school, or to create their own play with their troop members. 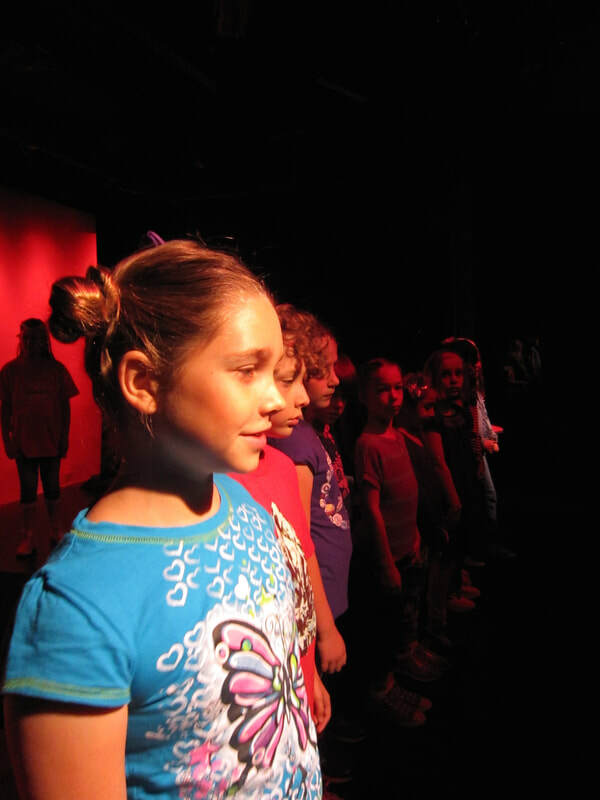 In this hands-on theatre activity, participants spend two hours with a professional theatre director, learning about the craft of theatre, playing theatre games and drama exercises, and creating their own mini-play. The play, crafted on the spot and based on their personal feelings about the world and their community, is performed by the participants in one of the three Playhouse performances spaces at the end of the session. Face-painting is part of the process. Video taping of the performance is welcomed. In a little ceremony at the end of the performance, each participant receives a certificate good for two complimentary tickets to a Santa Monica Playhouse Family Theatre weekend production. To book, call 310.394.9779 ext 3 or Email Us!